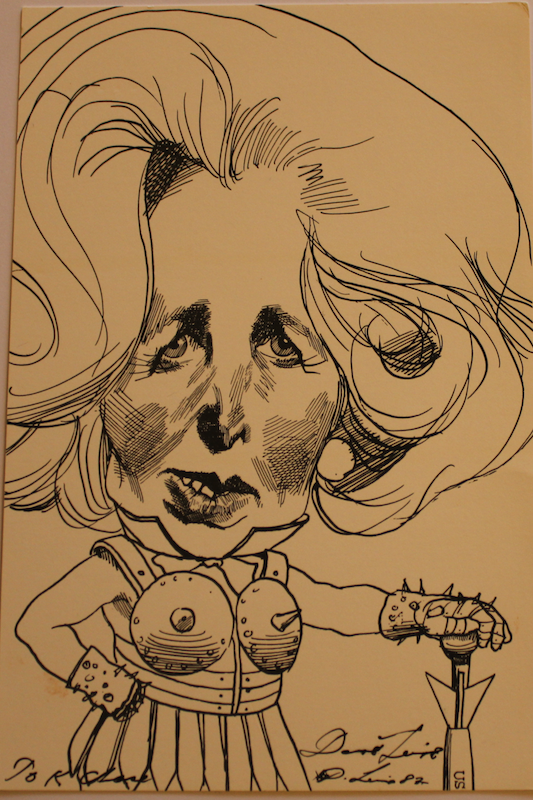 Margaret Hilda Thatcher, Baroness Thatcher, LG, OM, PC, FRS. October 1925 – 8 April 2013. 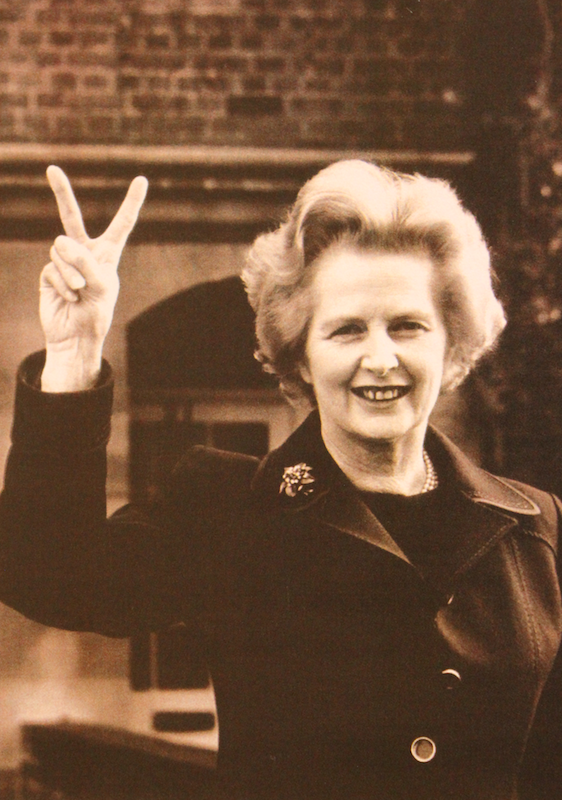 The longest serving Prime Minister of the United Kingdom of the 20th Century and the only woman to have held the post. She was a tough cookie and probably had more grit than most of her Cabinet colleagues. 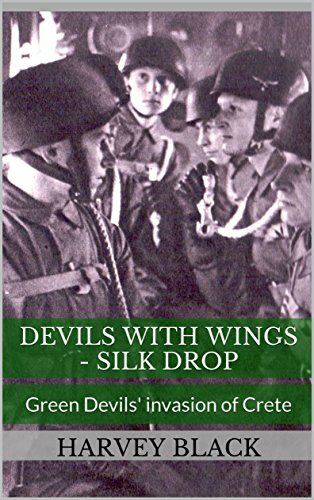 Although not everybody’s favourite and hated by some, she always did her best to ensure the British Forces were given what was needed to complete their task, within the financial constraints that we all have to endure. I joined the same year she became PM and can remember receiving a substantial pay rise when it was discovered that soldiers getting killed and wounded in Northern Ireland, at the rate of two or more per week, were having to claim housing benefit in order to feed and house their families. 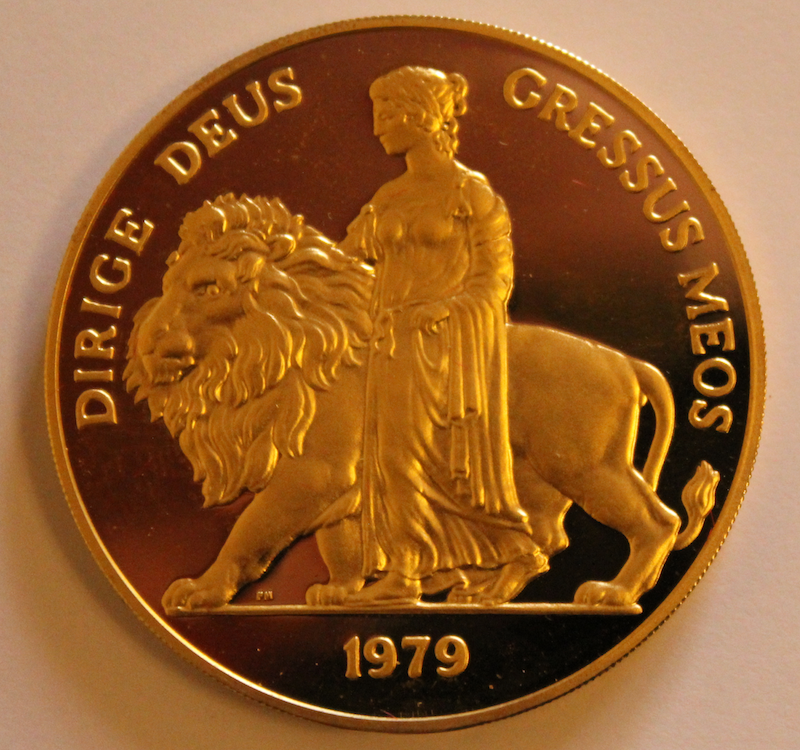 A 22 carat Gold plated Silver Medal Crown struck to celebrate her inauguration as Prime Minister in 1979. Translation of the latin inscription on the reverse. ‘May the Lord protect my steps’. Originally a research chemist before becoming a barrister, she was elected Member of Parliament for Finchley in 1959. 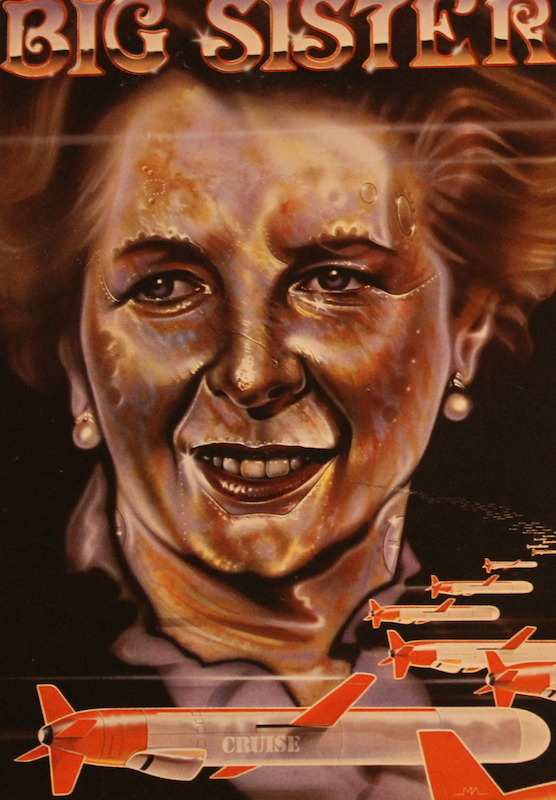 Margaret Thatcher’s victory over Europe. When in European Union meetings, she was in the habit of looking her opponents in the eye and stating ‘I want my money back’. 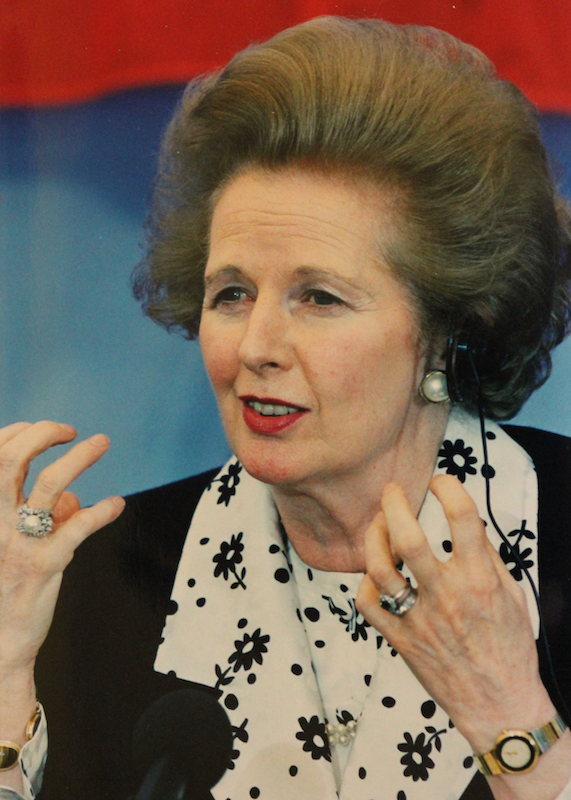 She quickly got the reputation as an Iron Lady. This cartoon sketched, and signed, by David Levine, an American artist and illustrator, and a political satirist, very much portrays that image. Included in The New York Review of Books 1982. 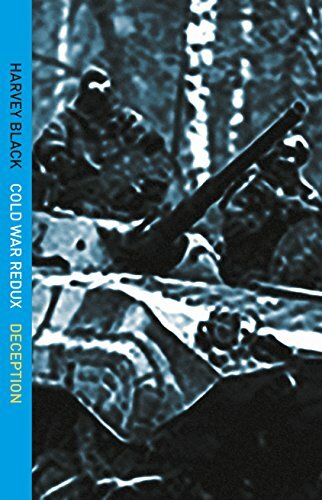 She also took a tough stance in respect to the Cold War and the threat that was ever present from the Soviets and the Warsaw Pact countries. 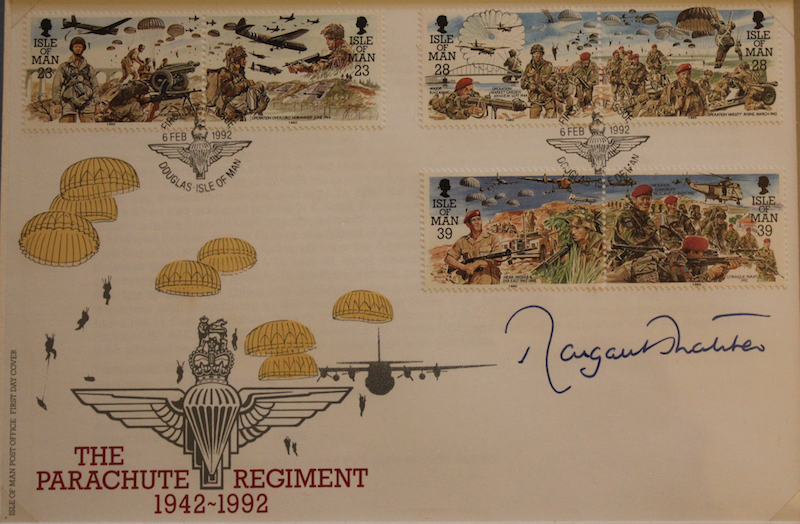 This first day cover, signed by Margaret Thatcher, takes pride of place on my writing desk where i pull together all the research for my novels. 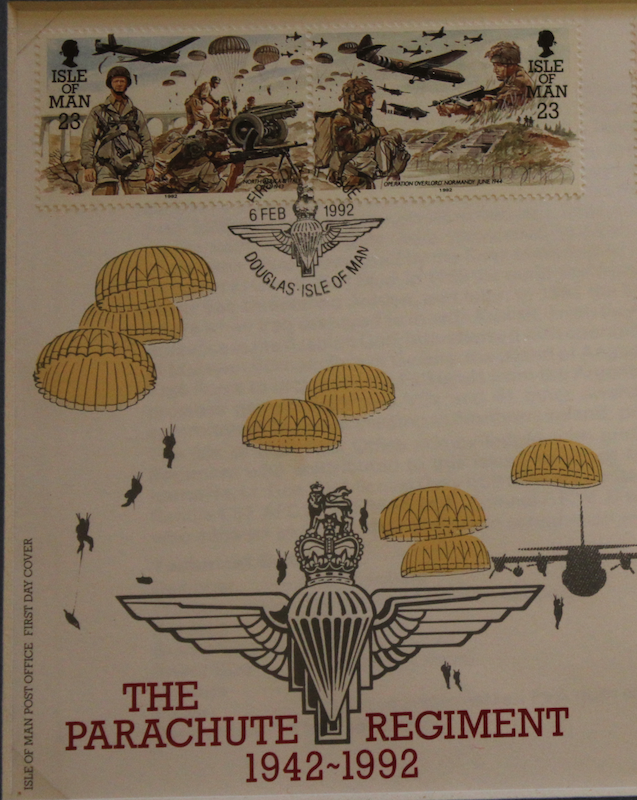 The personally signed Parachute Regiment 50th Anniversary first day cover. 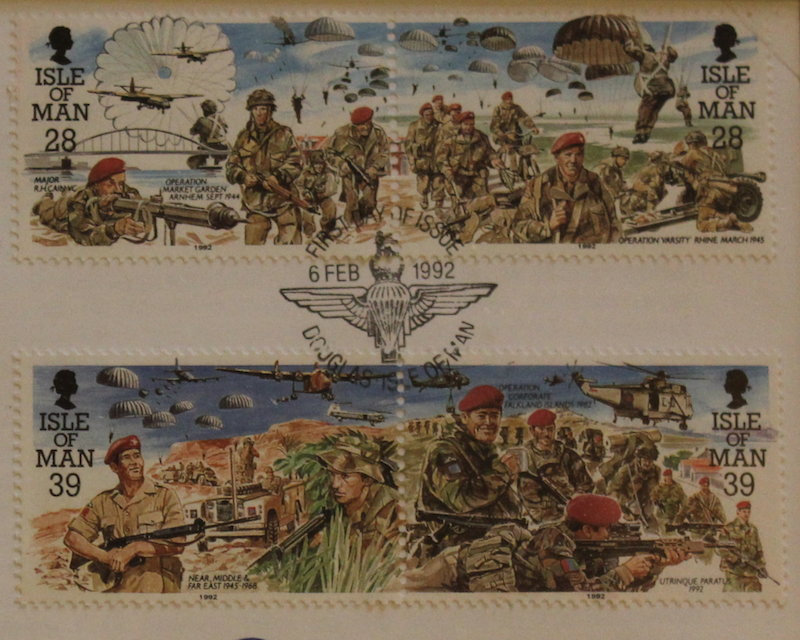 A close-up of some of the stamps on the cover. This is not a Political Post. I just want to take the opportunity to pass on my condolences to her family and wish that she rests in peace. 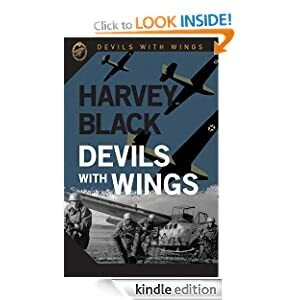 The Photographs and Blog are copyrighted to Harvey Black. Not many women could do what she has done in her life. She did what many men couldn’t Anneli. She was made of stern stuff – and allegedly only needed 3-4 hours sleep a night! She always reminded me of a female Winston Churchill – someone you would want on your side when the going was tough. Lovely tribute Harvey! Not only did she do a lot for the country and the armed forces but she did a lot for women too. Whatever a person’s political thoughts on her, there is no denying she was the original ‘Girl Power’! Lovely tribute, Harvey, thank you. Thanks Sue. She could have been a Spice Girl! Lovely tribute to her, Harvey. She was a force to be reckoned with for sure. Good on her. Sad to read of her passing but she went out having done things that no woman had ever done – and things that men hadn’t done either. Thank you Melanie. She turned the sick-man of Europe into a country the be reckoned with. When the Falkland Islands were invaded, they pulled the sleeping Lion’s tail and it turned around and bit their head off. An interesting, unusual tribute – and I enjoyed this collection of images. She was controversial but quite unforgettable. 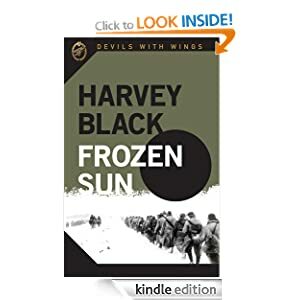 Thank you Harvey. Thank you Miriam. 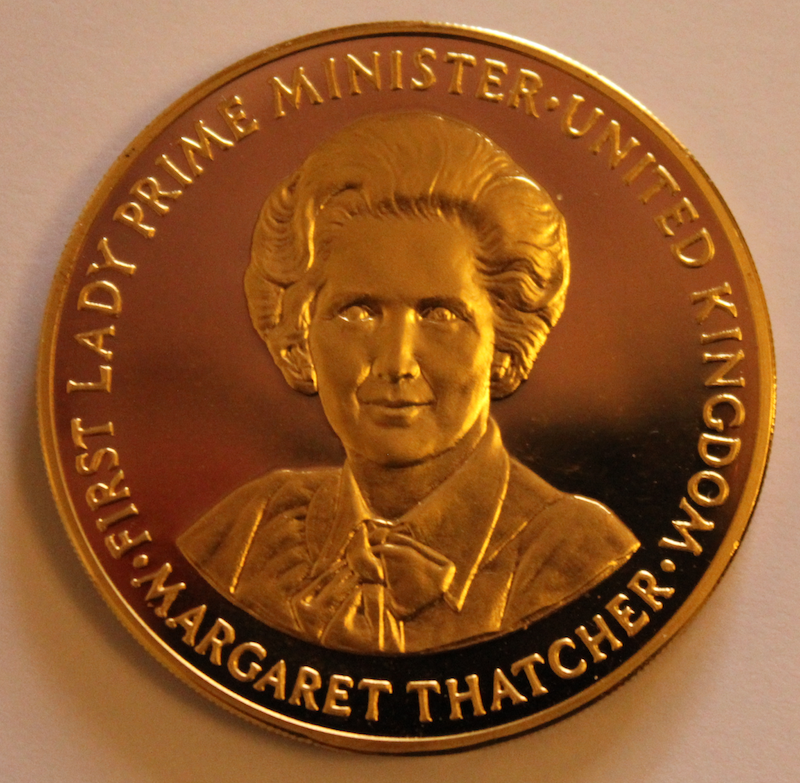 Yes she was controversial, but I think the UK needed a bit of a shake-up in the 80’s. Thanks for taking the time to read WE THOUGHT WE’D LIVE FOREVER… glad you like the story. I learned a lot from our time with each other. I just became one of your followers and really look forward to learning from your experiences. Just keep the stories coming! Thank you. Sharing stories keeps us all in touch.